A wide variety of our desktop time tracker’ users may found it’s convenient to trackingtime ever since they use this application. But when the record is accumulated day by day, do you found it’s difficult to sort out different records and quick find the exactly records you want. 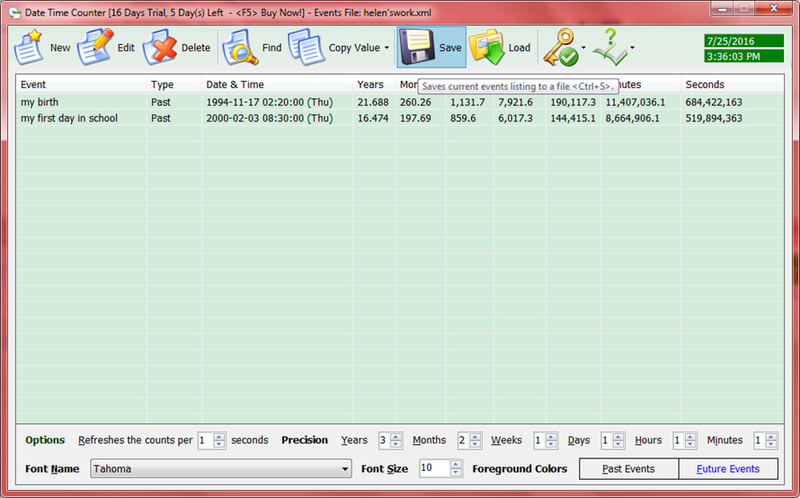 This time, I recommend you a function of the desktop time tracker, you’ll find a more easy way to arrange your records. When you open the desktop time tracker, add list like “my birth”, than add another list, like “my fist day in school”, and leave the application to tracking time. And you add the different items to record, you can save the record by press the button “save” or you can press <Ctrl+S> to quickly record it. The calculator will automatically save your records like “my-events-current dates”, or you can type your title on your way. And click save button to save your records. Screen shot of saving the records on this event timer. 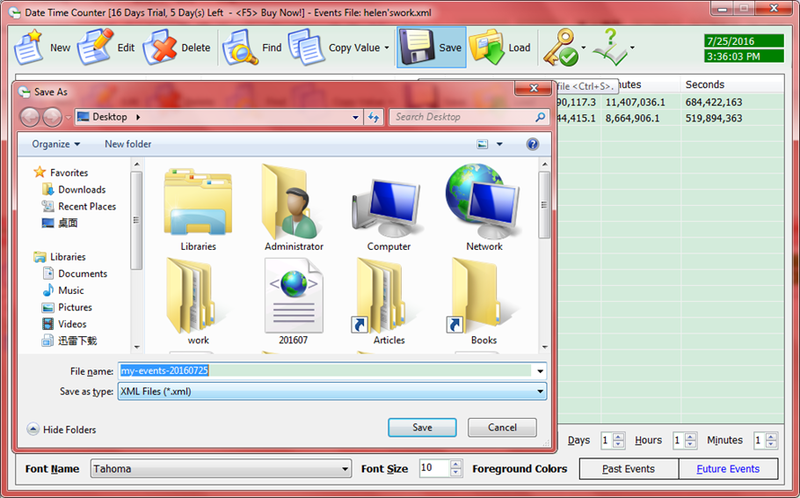 I change the file name by using my name, so the next time when I need it I can find it quickly. 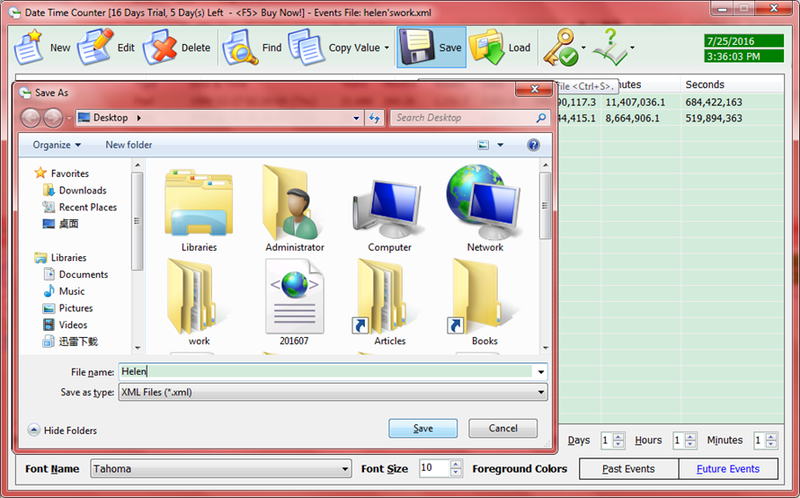 What’s more, your family member can also use the time tracker to record their own time by saving to files. In that way you won’t mix the files and record, like kill one bird with a stone. While the next time you want to check the record, you can click load or press <Ctrl+L> and typing the file name on the textbox to find your record ,then click open, the event timer will load your record immediately . By this way, you can manage different people’s list. If you have any problems on using this event timer to trackingtime, you can click online help or press <F1>. You can get this time tracker by below button. And can view its homepage to find more tutorials.